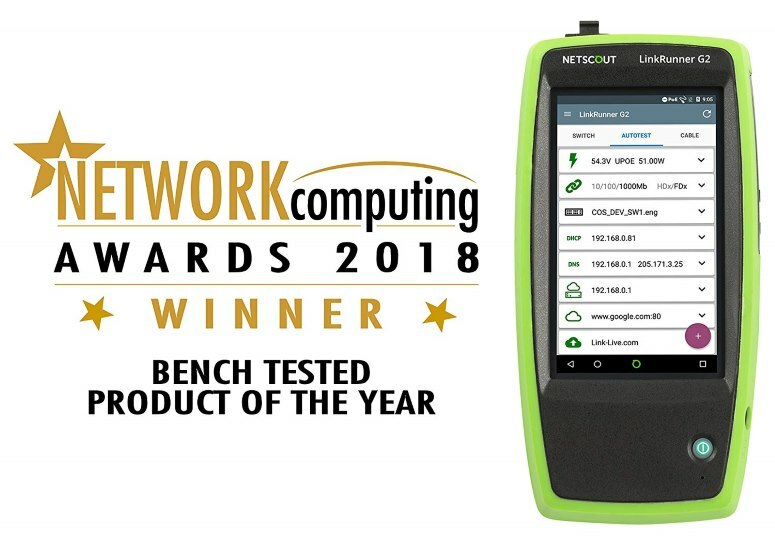 Another technique you will use to find the values you want to present in the label is by running snmpwalk on a device. Here is how to snmpwalk a device and copy the device uptime oid. If we want to present this SNMP value in our label use the oid() function wrapped in square brackets like this. 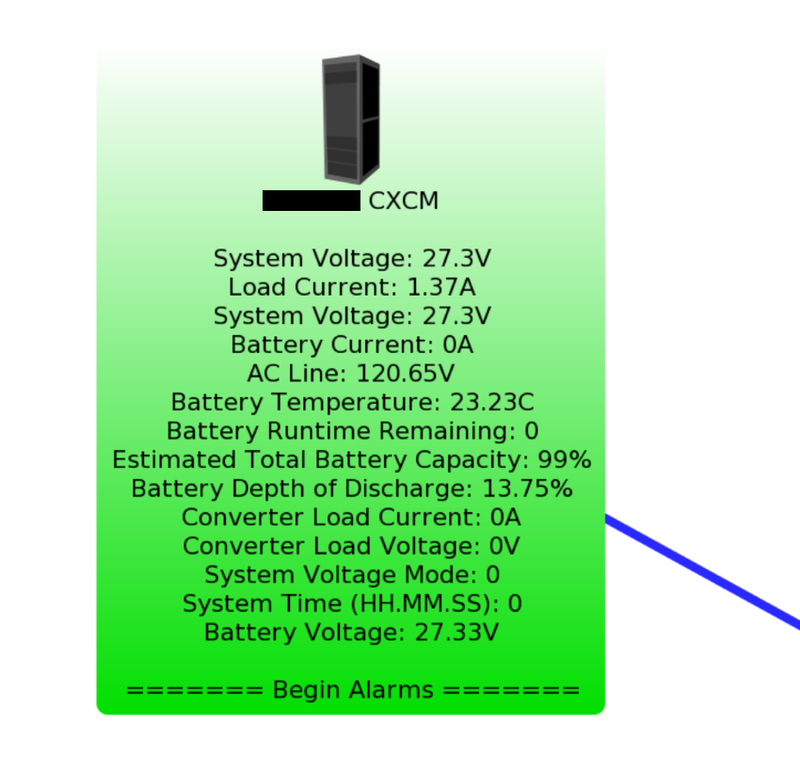 Now that you have the concept down, lets look at some examples of SNMP data from a variety of devices. 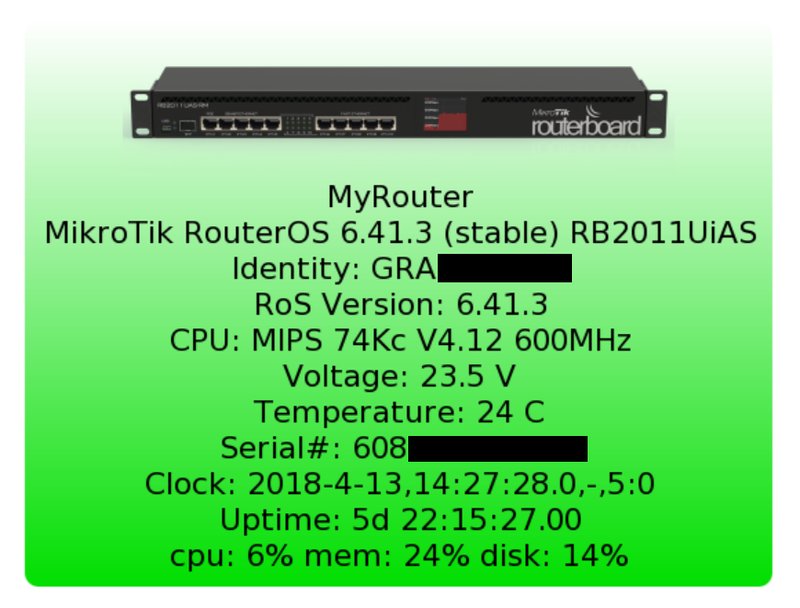 Here I’ve just assembled some of the useful data presented by the MikroTik RB2011 RouterBoard router. It’s a bit overkill but gives you an idea of what’s possible. Presented on The Dude network map the above label looks like this. I have also uploaded and added an image of the RB2011. 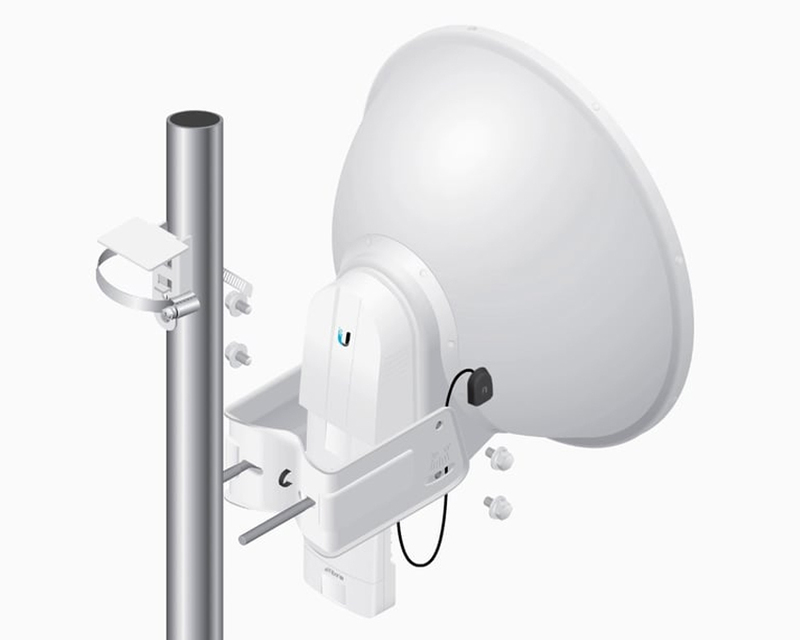 This example shows the chain0 and chain1 receive signal levels and wireless center frequency for an AirFiber PtP Wireless Link. 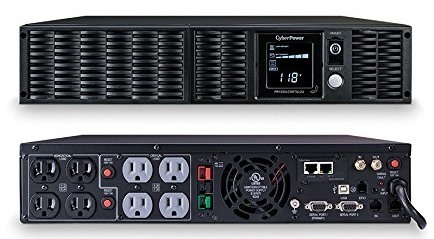 Here is what this device physically looks like and what the label looks like on The Dude map. 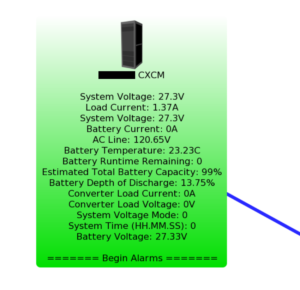 This example shows how you can use SNMP data to gather battery runtime, temperature, and voltage from a CyberPower Rack Mount UPS. I’ve had to do some odd spacing to get the labels and values to lineup properly. 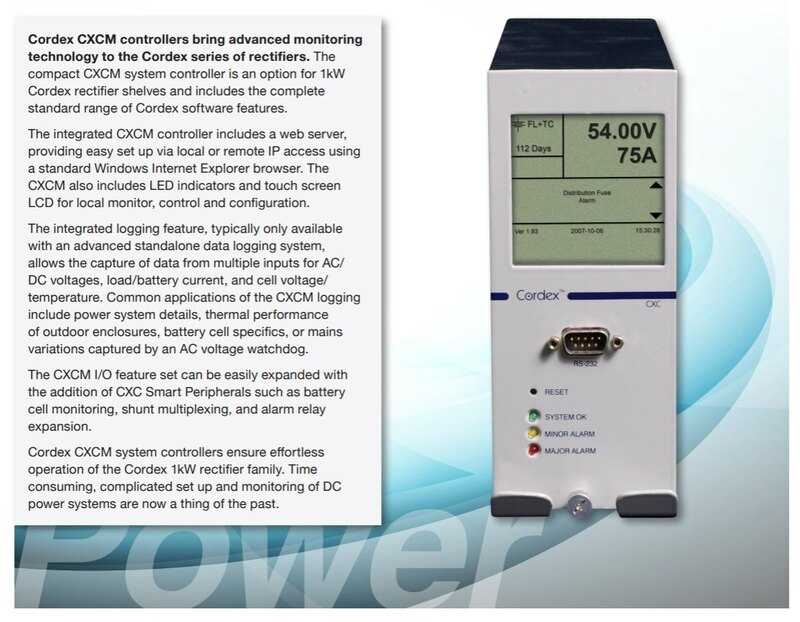 Here is a photo of the device and the label as presented on The Dude. 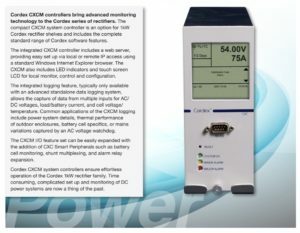 This is a more specialized example from a CXCM Power controller which handles remote cabinet battery charging and power supplies. With this next example I have packaged up the oid() calls into several reusable functions. If you have many devices that share the same label this is a better approach. If you want to make changes to what’s presented in the label you only have to edit the called function instead of each device’s label. As you can see the syntax is different, all outputed data must be concatenated together. 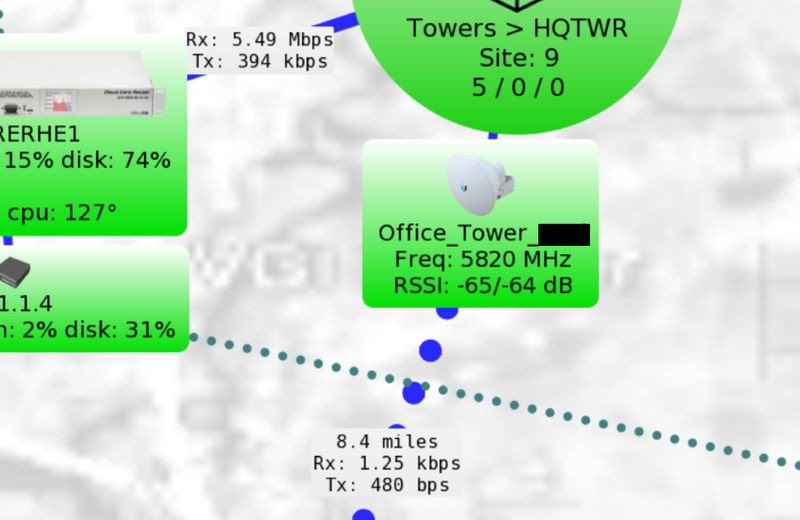 The ATS devices can be seen on the map along with the AVTech Room Monitoring in the screenshot above. [Example coming soon] but you can access (via SNMP) a wealth of data about Dell PowerEdge Servers if you install and configure the Windows Server SNMP feature along with the Dell OpenManage Tools. 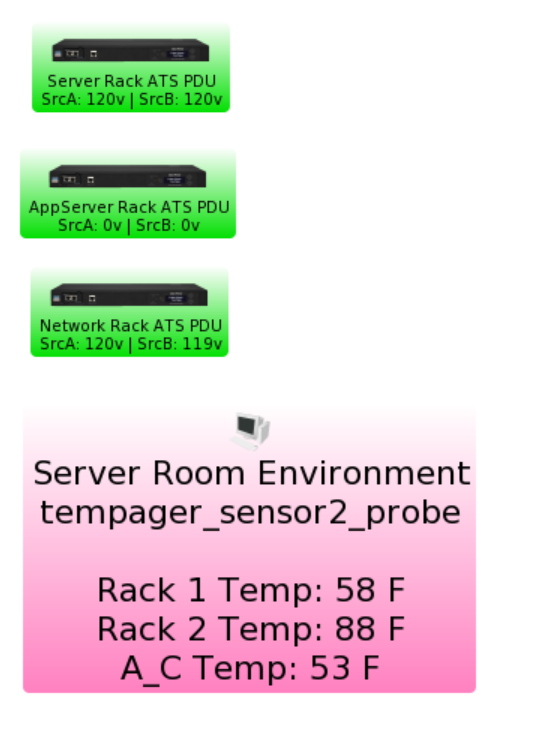 SNMP data such as temperature, RAID controller, disk, power supply, chassis fan statuses are available. I hope you found this article about configure The Dude from MikroTik useful, feel free to leave a comment below.